A newly formed group called Vermonters for Honest Government is sinking more than $30,000 into television ads asking Vermonters to urge their legislators to vote for Republican Scott Milne over incumbent Democrat Peter Shumlin for governor next week. The ads are slated to start running Tuesday on WCAX-TV and other stations, according to filings with the Federal Communications Commission. The legislature is scheduled to vote on the governor race January 8 because no candidate received more than 50 percent of the vote in the November 4 election. Despite being a heavy favorite, Shumlin won just 46 percent of the vote, leading Milne by roughly 2,400 votes. Bill Round, a retired U.S. Navy captain and Vermont native who lives in Newport Center, issued a news release Monday afternoon saying he formed the group that is behind the ad and a website — www.vthonestgov.com — that went live Monday. “Vermonters have had enough of Peter Shumlin and his broken promises,” Round said in the release. Round said Monday that the group started over coffee among friends and includes more than 50 Vermonters he described as ordinary residents. "This is all being done in the backwoods. It just lit up," he said. Milne, who has declined to concede the November 4 election, said Monday he had not spoken with Round and was not involved with the group’s efforts, but he supports the message. Shumlin has said he believes legislators should vote for the candidate who received the most votes on Election Day. 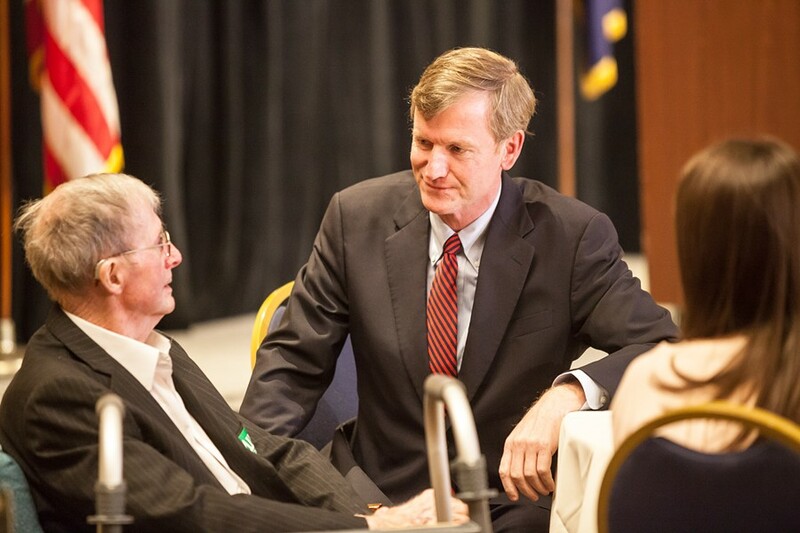 Milne faces long-shot odds of winning in the heavily Democratic legislature. Round said he has yet to contact his own legislators, but plans to do so before the vote. They include two Democratic senators and two Republican representatives. Round said he met Milne once at a fundraiser during the campaign and supported him because as president of Milne Travel, Milne is a successful business owner who understands customer service. Shumlin also ran his own successful travel company before becoming governor, but Round has been unimpressed with his tenure as governor. Round made the ad purchases Monday, according to the FCC filings.